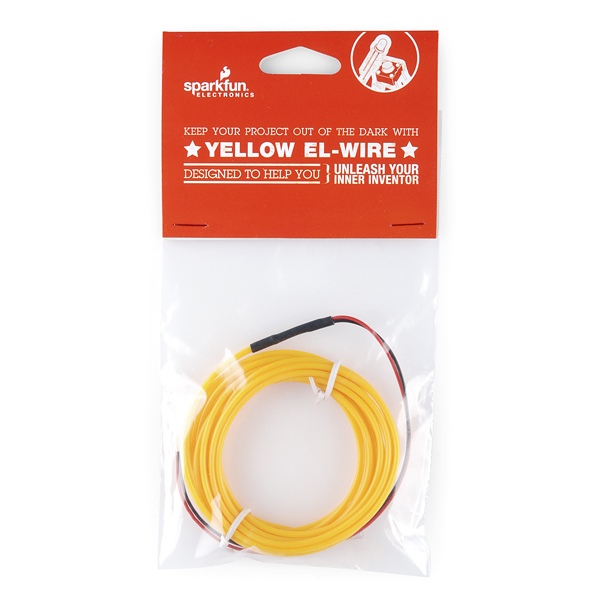 This particular wire glows yellow and is 3m (almost 10 feet) in length, 2.3mm in diameter and is terminated with a JST PH connector. 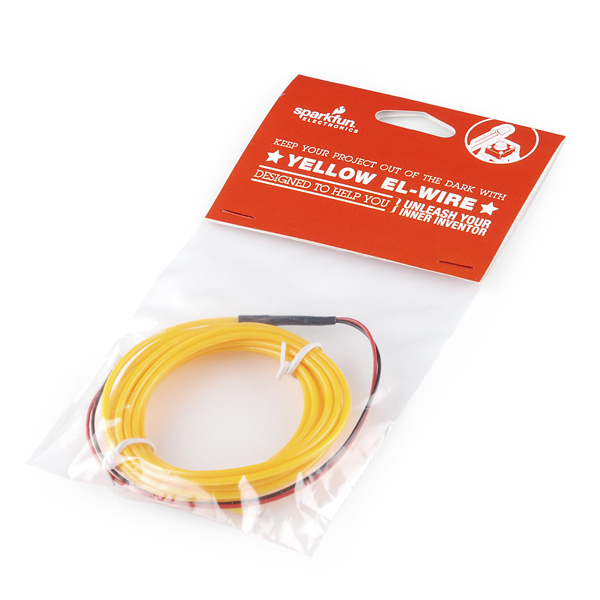 This connector works directly with our two driver boards, the El Escudo and the EL Sequencer. 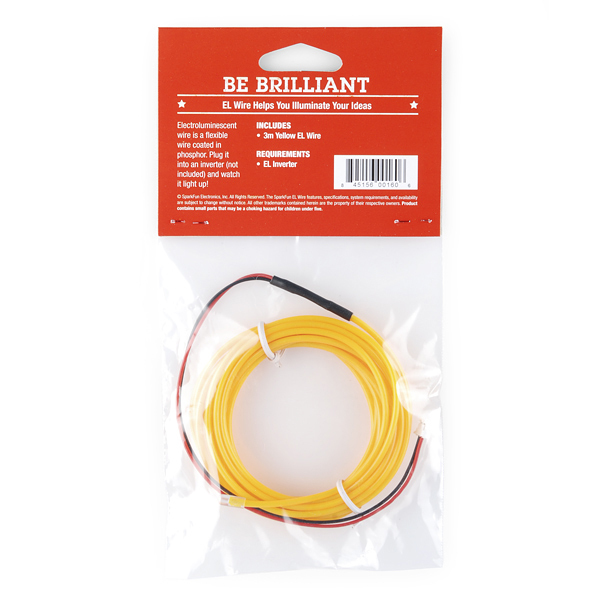 Or, you can wire them directly into the output of an inverter. An EL project that displays one person's heartbeat on another person's costume.